OnePlus is rolling out new software updates under the stable channel for the OnePlus 6 and OnePlus 6T as we talk. Coming is software version OxygenOS 9.0.12 for the OnePlus 6T and OxygenOS 9.0.4 for the OnePlus 6, the updates bring in January security patch, deep integration with Google Duo, optimization for screen display (only for 6T), fixes bugs and improves the performance of the system. 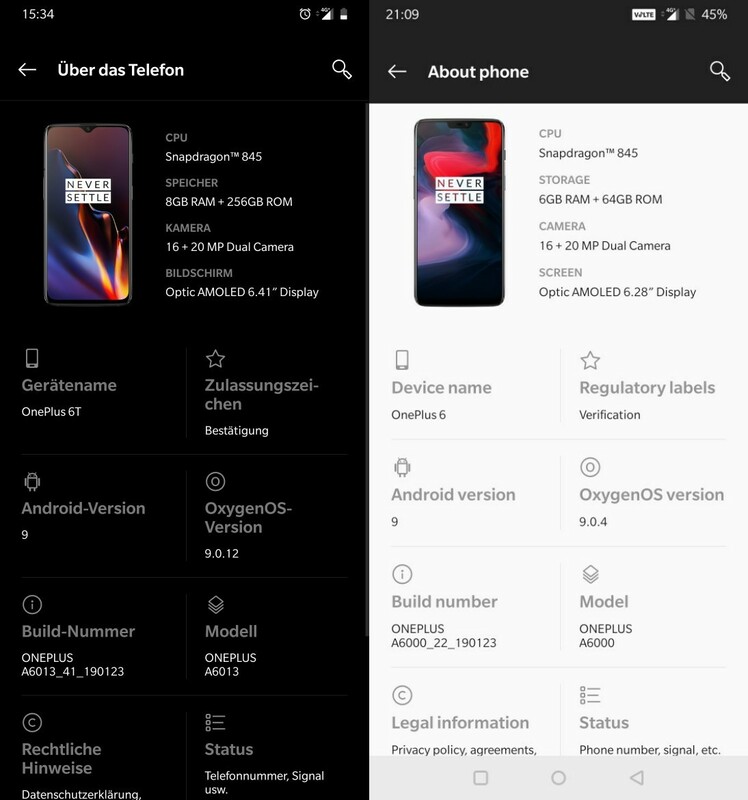 OnePlus devices run on OxygenOS, the company’s slightly tweaked custom skin over the stock Android OS, that doesn’t interfere much with the looks and the UI while adding cool features for the users. It’s great to see OnePlus push timely updates for the OxygenOS and keep it highly feature-packed. OnePlus 7 looks set to be the name of the next OnePlus device that could debut in April 2019. But rumors have been swirling around a 5G OnePlus handset too, which shall easily be the cheapest 5G phone in 2019.